We can create a custom magnet with your logo, unique designs or photos. Custom magnets are a fun way to share pictures of a your business, remind your customers of your phone number or remind friends of your wedding date. 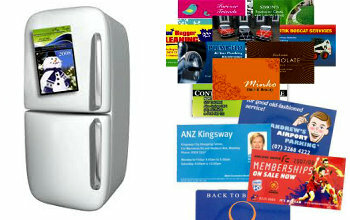 Having a magnet on your customers fridge keeps your business in their mind. Printed in vibrant colors fridge magnets are perfect for promoting any business or event.